Ask the Nobel Prize winning economist who has advised China on its latest five-year plan the question on every Australian economists’ lips and he doesn’t flinch. “How long have we got? How much longer can China’s extraordinary explosion of economic growth continue,” I ask Michael Spence down a phone line to Italy where he lives six months of the year. 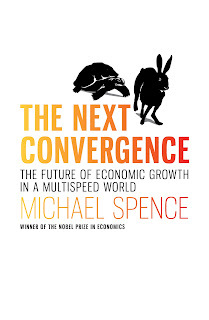 “I think the answer is something like two decades, in the later part of that they will start to slow down,” he says ahead of his book tour of Australia to promote The Next Convergence - the Future of Economic Growth in a Multispeed world. He is a good person to ask. As well as actually advising China on its growth strategy, for the past four years he has chaired the World Bank sponsored Commission on Growth and Development set up to distill all that is known about how to drive economic growth and cut poverty. His key insight about China is striking - that the sudden burst of growth that has revolutionised global economics and politics was the result of a conscious decision made by just a handful of people. Deng Xiaoping and a few comrades could have decided to throw the switch to growth later - perhaps even in 20 years time; they could have decided to do it earlier, although not before Mao died and the Gang of Four were arrested in the late 1970s. Deng and cronies decided first to allow the limited use of market prices for farmers selling production over and above what was required, saw the results were impressive and then semi-secretly invited experts including the then president of the World Bank Robert McNamara to give them advice on what steps to take next. Some of the meetings took place on boats on the Yasngtze River. Spence himself is now providing that know-how. When he sent over his thoughts for latest the five-year plan that began this year he felt his ideas being sucked out of him. It is the ability to take what works from the West that has seen China’s industrial revolution spark growth rates far faster than those during the first and second centuries of the West’s revolution. Starting very late has allowed it to use ideas, processes and machines that have already been tested to supercharge what used to happen more sedately. When will it stop? Greenhouse gases might put a stop to it. More on that later. But otherwise it is hard to see a roadblock. “This is a country with a per capita income of $5000. That’s a huge improvement over $300 but it is a long way from $25,000,” he says. But doesn’t China’s sustained growth depend on the rest of the US and Europe saying out recession. 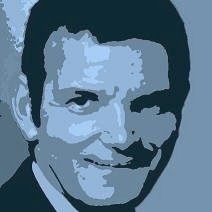 Not any more says Michael Spence. “Right now the emerging economies that are trading with each other are self-sustaining. They can grow even if the major industrial powers just plug along. But surely its billions of citizens will never get to the stage where they pump into the air pollutants at the rate of around 20 tonnes per person per year as do Australians and Canadians and residents of the United States. No, they never will, says Michael Spence. Michael Spence will speak at the Grattan Institute in Melbourne on August 15 and at the National Press Club in Canberra on August 17. China is preparing to take the lead from developed nations in saving the planet from climate catastrophe according to an advisor to the nation who worked on its most recent five year plan. Nobel Prize winner Michael Spence who is about to visit Australia has told The Herald there has been a sharp change of attitude in the world’s fastest-growing big economy. While it was set to continue to grow very strongly for two decades, underpinning Australia’s prosperity it would aim to approach developed nation standards of living without developed nation emissions per household. “China and is starting to internalise these things,” he said. China’s new approach was part of a journey rather than a fixed outcome and it might still decide not to assist the rest of the planet and go for western-style emissions. China’s emissions per capita remain a fraction of the West’s at less than 5 tonnes per person per year compared to 10 tonnes in Europe and near 20 in Australia, the United States and Canada. China was reaching the stage where its growth would be self-sustaining. It would no longer depend on consumers in any other nation, relying solely on demand from its own middle class.